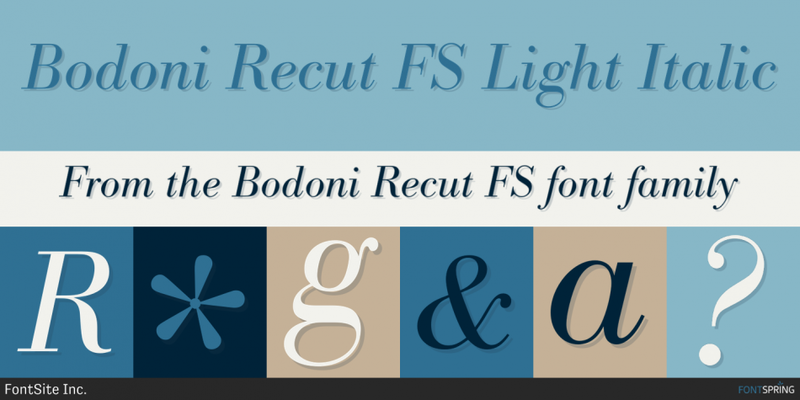 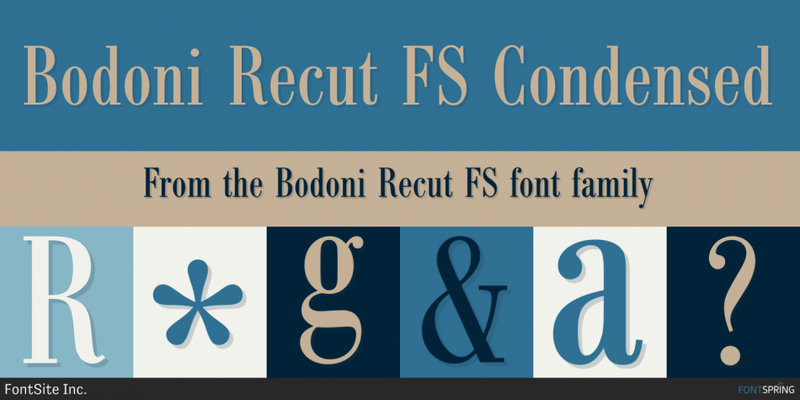 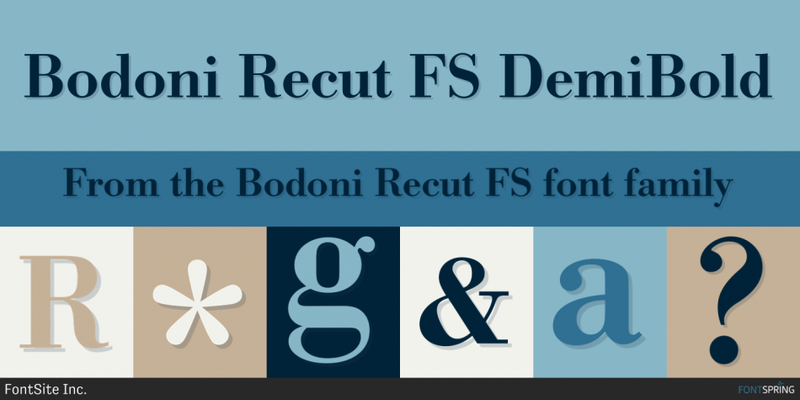 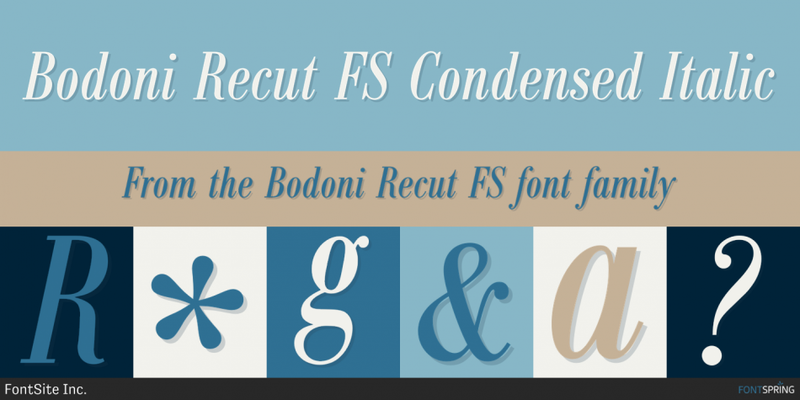 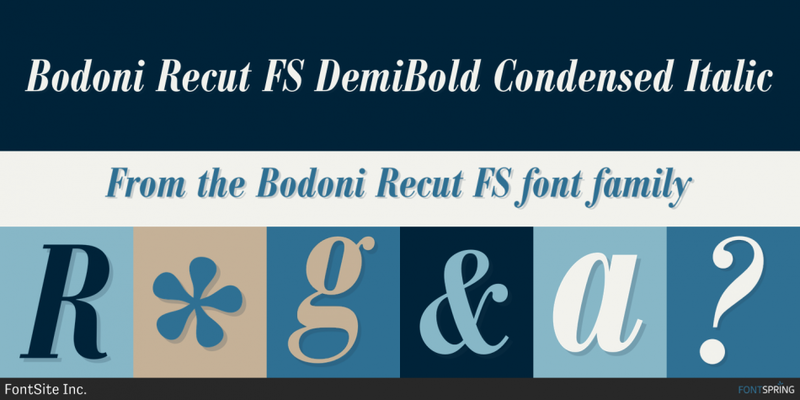 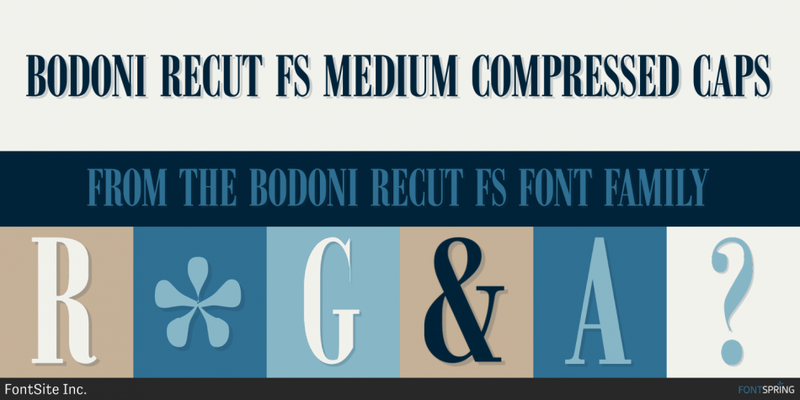 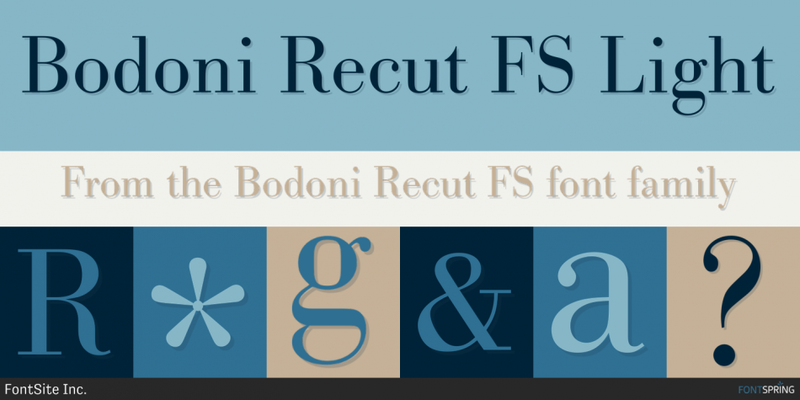 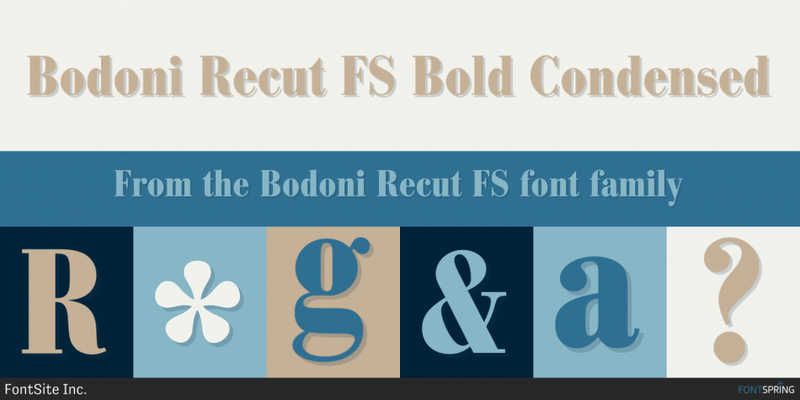 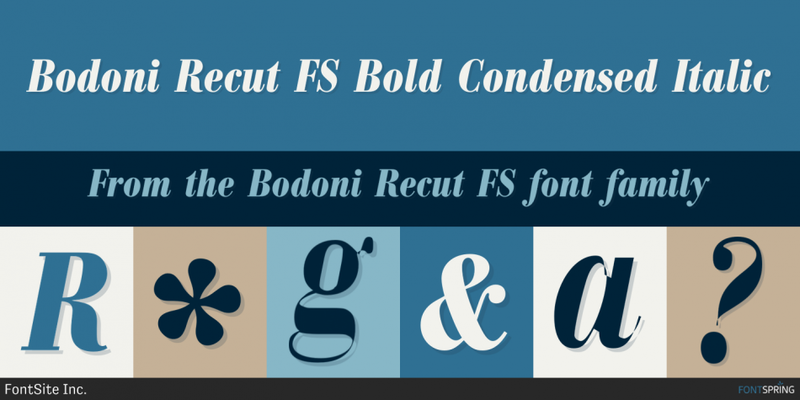 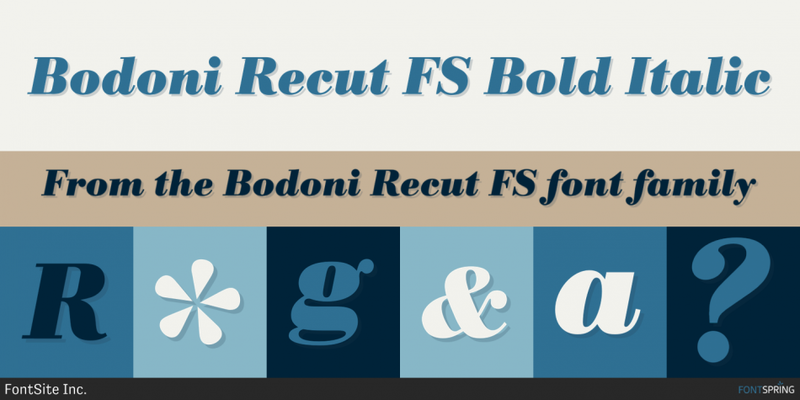 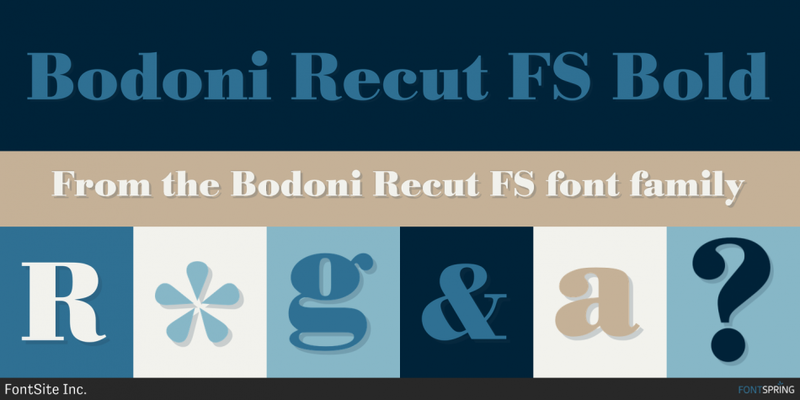 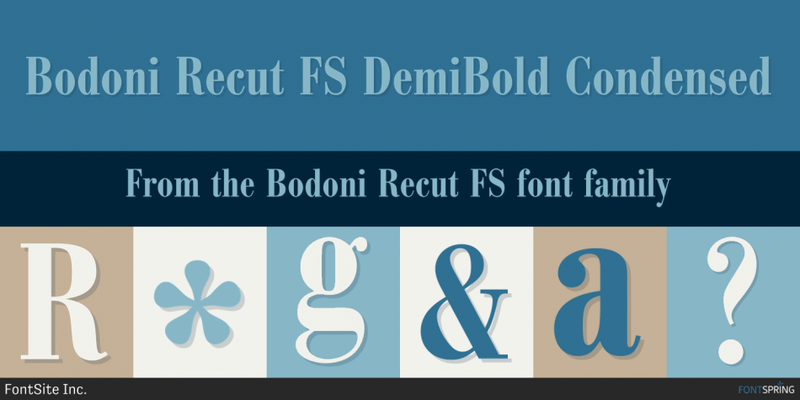 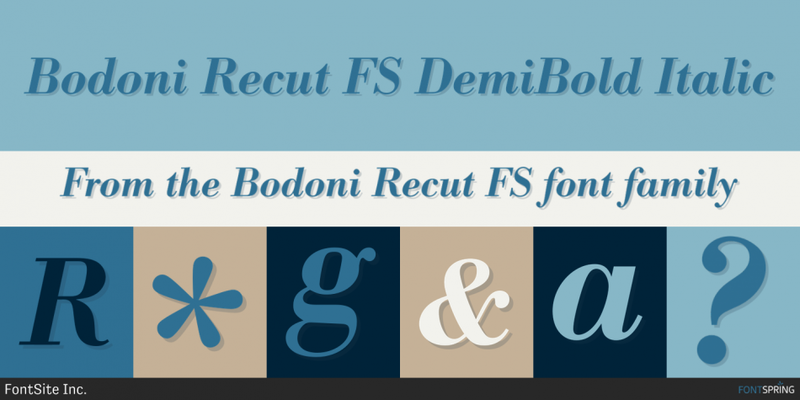 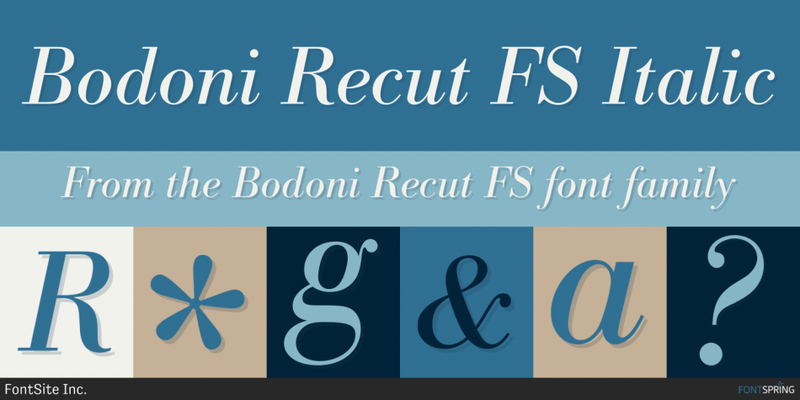 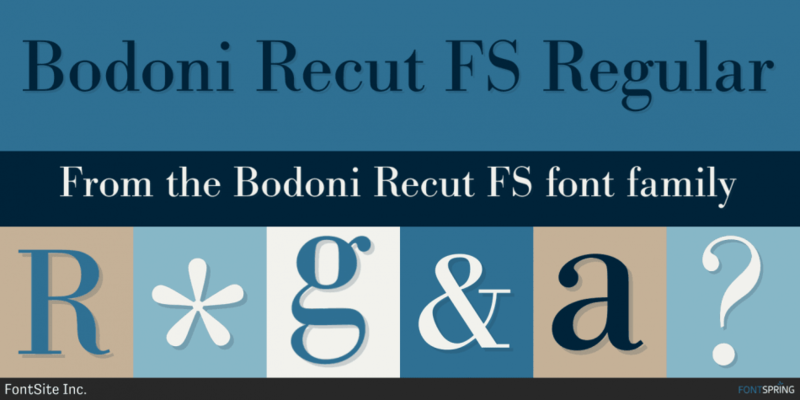 Fontspring | Bodoni Recut FS Fonts by FontSite Inc.
Bodoni Recut FS is a display serif and serif font family. 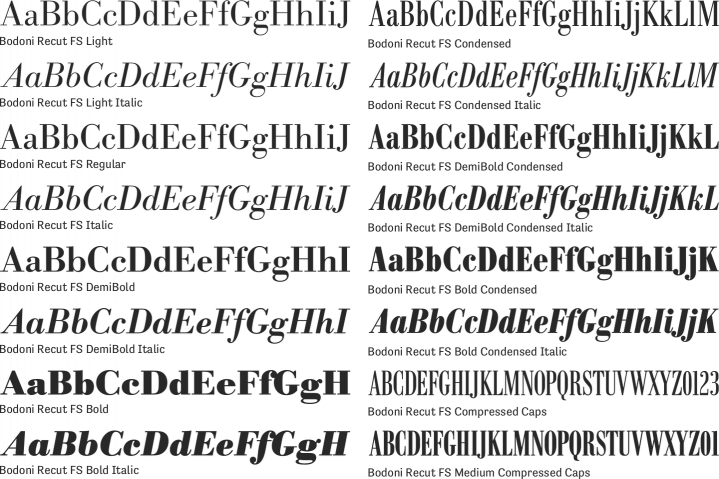 This typeface has sixteen styles and was published by FontSite Inc.
A sixteen font family. 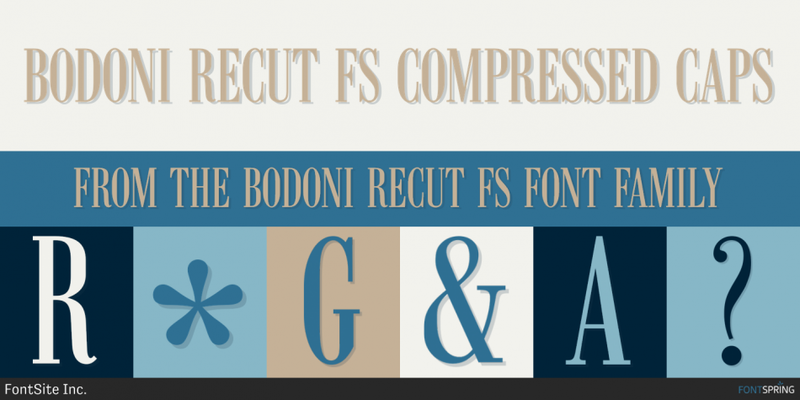 This contains every font in the Bodoni Recut FS Family.